is officially live and ready for action! After a lot of changes this past year – I am ready for a new chapter as a solo blogger, a new style with a new name! I first started blogging in 2011 and let me tell you – a lot has changed since then! Blogging has helped me evolve into the person I am today. I am so excited to have you on this next leg of my blogging journey. It’s important to me I give content that you enjoy. I want to INSPIRE you! Thank you to everyone who filled out the Reader Survey! I incorporated many of your ideas into the changes on the site. I loved all the ideas that you guys gave me around names in the Reader Survey. Here are a few of the recommendations: The Fearless Feminine, Walking with Whitney, Whitney’s World, Crypto Couture. I finally settled on Whit Wanders because I think its a real representation around my own journey with fashion, travel, and fitness! It’ss important for me to be consistent with my posting and content schedule. My current schedule: I create 3 unique pieces of content per week: Monday, Wednesday, and Friday – I dedicated Friday to sales deals. My focus is creating quality content that makes you say “Ooooh Love That!” and recommending stylish apparel while helping you save money! I was energized by the wonderful feedback in the Reader Survey. The consensus was you enjoy my outfit posts and travel guides. Adventure is at the top of your list. Another focus of yours was video! I will be expanding into new channels like YouTube – with brand new content. My Travel Guide and Spring Style style videos are going live next week! Make sure you subscribe so you don’t miss them! I have an exclusive newsletter exclusive newsletter that alerts you to new posts, gives you sneak peeks to new OOTD and exclusive giveaways. Make sure you subscribe so all these goodies are sent straight to your inbox! Congrats on the new blog! I love the name and can’t wait to see all your new content!! You look phenomenal in that jumpsuit. Love the color and cut. Also, yay! for new beginnings. Yay, Whitney! I’m so excited for you and I’m loving the new name. 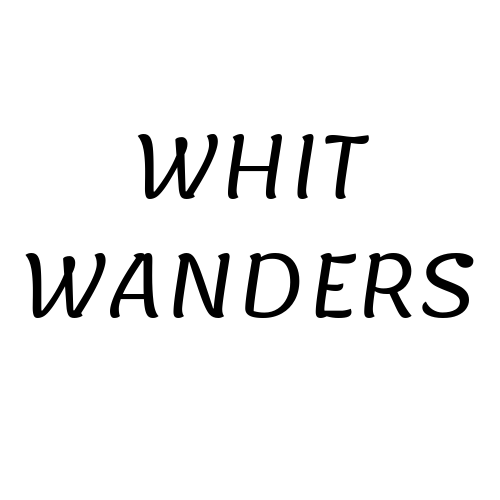 Looking forward to seeing more posts here on Whit Wanders. I wish you oodles of success with this new and exciting direction in your blogging life! Congrats on the new name and the new vibe! Can’t wait to see where this chapter takes you. Love your pink jumpsuit and congrats on the new blog name! Such exciting news! I’m loving this pink jumpsuit on you!!! You look stunning. Motivates me to get in shape so I can rock one too! So excited for you girl! Love all the changes to your blog! Congrats girlie! The blog looks beautiful and I’m super excited to see what this new chapter brings! This sounds like such an exciting new chapter of your blog!! Love your jumpsuit and those FAB earrings! congrats! Congrats love! So excited for this new journey! Congrats on the launch! Love the new layout – and that jumpsuit! this jumpsuit is GORGEOUS!! Love the color and those earrings are fab!! This is such a sweet look! I LOVE that color on you! Congrats on all the changes! Also, that jumpsuit is ah-mazing! !